London : E. Mathews and J. Lane, 1893. 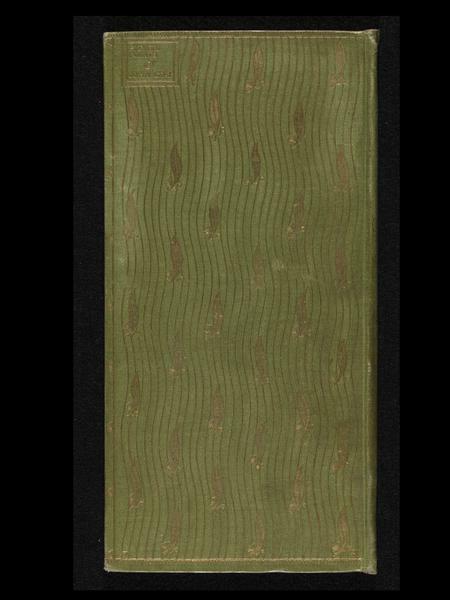 Physical Description: xxxviii pages ; 21 cm Language: English Staff View: MARC Record OCLC Number: 5740641 Contents: Poems. Subjects: English poetry 19th century. Gilt design by Charles Ricketts to front and rear covers. In its unusual format, designed and decorated by Charles Ricketts, the gold flame motif on the green cover of the narrow, slender volume has symbolic significance, as G. A. Cevasco writes: "The green and gold have special meaning, for in virtually each poem of the twenty-nine making up the volume, there is some allusion to nature or plants; but as though to imply the superiority of art over nature, the gold pattern dominates the green colour". The text printed in italics with extremely wide margins contains some of the most notable Decadent poems of the 1890s, such as "The Barber" and "Mishka" . National Art Library copy is no. 185. Quintessential highpoint of British 1890s bookmaking. Tall slender octavo. 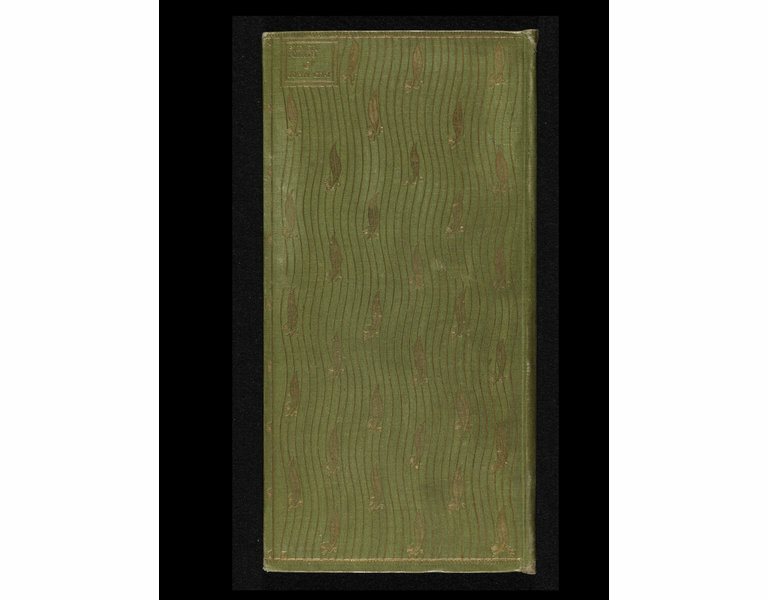 Green cloth stamped in gilt on both covers with the title in the upper left-hand corner and an overall pattern of wavy water lines and willow leaves by Charles Ricketts. In a felt-lined, gilt-stamped clamshell case of tan cloth over. Designed in the shape of Persian saddle books by Charles Ricketts, R.A. This book of poems marks a high point in commercial book design. 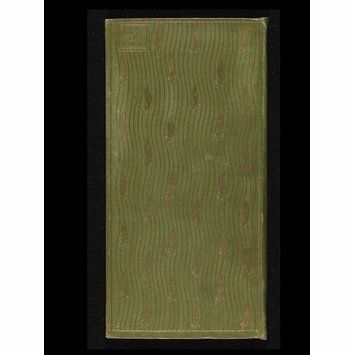 The cover, by Charles Ricketts, uses a leaf motif and green cloth to evoke the references to nature and plants that can be found in each poem. The pattern was much admired and imitated in books, wallpapers and dress fabrics.